Bounce Function Bounce Function (Tilt) Flash head tilts down to -7° or up to 90° with click-stops at -7°, 0°, 45°, 60°, 75°, 90°. Nikon SB-700 i-TTL- optimized offers the perfect balance of exposure. It’s flexible flash head provides creative lighting freedom for nearly any subject. Achieve brilliant results and seamless lighting system integration with hot shoe operation or wirelessly as a master, commander or remote light source. 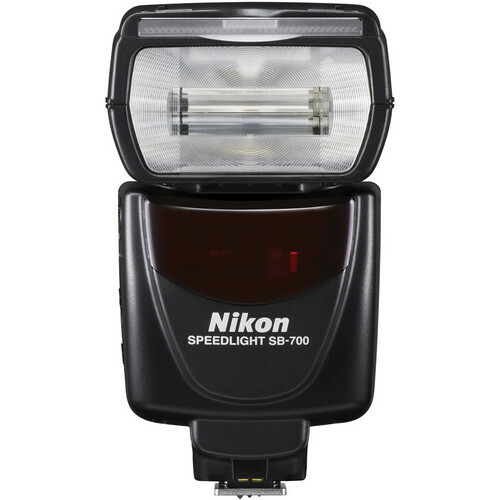 optimized for use with Nikon's Creative Lighting System (CLS), the SB-700 Speedlight is equipped with Nikon’s precision i-TTL (Intelligent Through-The-Lens) flash control to deliver precise flash exposures and seamless fill-flash performance—even in challenging lighting situations. Immediately before the main flash goes off, the SB-700 fires a series of monitor pre-flashes, which convey Information about the scene's lighting to the camera. i-TTL then automatically balances the output of the Speedlight and the scene's ambient light. The SB-700 offers wireless Commander Mode to allow you complete control over compatible Creative Lighting System (CLS) products. 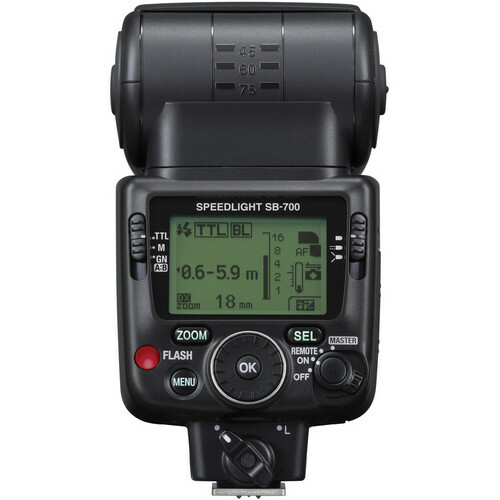 The SB-700 controls up to 2 remote Speedlight groups and an unlimited number of compatible Speedlights. When used as a remote Speedlight, up to 3 groups can be selected. Four wireless channel options help manage wireless conflicts in multi-photographer environments. the SB-700 allows you to acces its full range of functionality with ease. Versatile auto power zoom coverage allows you to smoothly cover lenses as wide as 24mm and up to 120mm in FX-format. Using the simple slider switch on the back of the SB-700, you can optimize light quality by selecting from 3 light distribution patterns: Standard for general illumination, Center-weighted for portraits or Even, for groups or interiors. 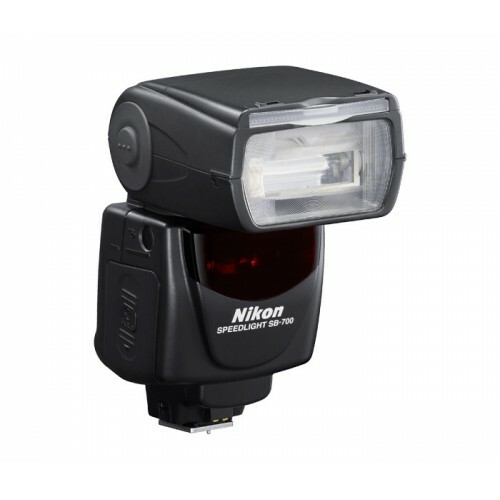 Automatically detects Nikon FX and DX formats and selects suitable light distribution angle. Automatically detects increases in flash head temperature and controls recycling time accordingly, thus preventing overheating. Automatically detects type of hard-type color compensation filter (fluorescent and incandescent) and automatically transmits filter information to camera for optimum white balance setting.